We’re going back to the ‘old’ Lord’s Prayer. When I announced this at a PCC meeting, there were smiles and several utterances of ‘oh good’. The rhythm of the ‘old’ rolls off the tongue more easily. It’s more like poetry, and so is easier to say, easier to remember, and it more quickly becomes familiar. The ‘new’ is neither one thing nor the other. It ‘modernizes’ some things and not others. The trouble with modernizing is that it needs to be done regularly as words and concepts change meaning. This strikes a blow at the idea of having a text known by all ages in all places, and it detracts from the notion that The Divine is immortal, invisible, in light inaccessible, the Ancient of Days – which must be true because we sing it with gusto. The new version retains hallowed but ditches thee, thy and thine. Hallowed is not in daily use, but thee, thy and thine are in many parts of England. Your will be done on earth as in heaven implies that it is not done in heaven, but might be one day. Give us today implies a grasping entitlement that excludes the sense of tomorrow and yesterday that comes with daily. The ‘old’ form is that used in English-speaking Roman Catholic churches and many other denominations. It’s used in most schools that teach it, and that includes Shobnall and Holy Trinity. Because it’s an Anglican translation, and one that even then is used in only some Anglican churches, it’s like the membership song of a posh club. It excludes people rather than includes them. This matters at funerals and weddings and other big occasions. If you prefer the new one, you can have it back when I’ve gone. 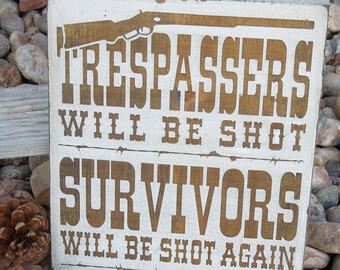 Until then, enjoy trespassing.